It’s World Down’s Syndrome Day! Over the years I have treated many children with this chromosomal abnormality (Trisomy 21) with amazing results. 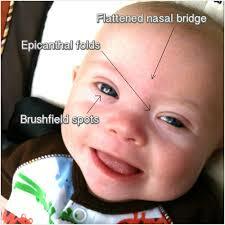 Some of the physical effects of the Trisomy is an abnormal facial development as one of the primary facial bones grows differently. This causes the wider face and often results in nasal congestion and mouth breathing amongst other characteristics. Although Osteopathy cannot cure the problem, I can increase the drainage, improve the blood supply and work to make the whole face and head work better. Net result – less snotty noses, less mouth breathing – which leads onto abnormal facial, mouth and dental growth – so wonky teeth, narrow palate as the face doesn’t flare forwards properly – and lots of dental work later! It can also lead to other breathing problems including asthma and hayfever tendency. This leads to more congestion! The congestion shows up as glue hear and hearing loss often, which can disadvantage at school and learning… it’s a whole vicious cycle. So – consider early Osteopathic intervention – for a happier child, family and much better results all round too. For a free conversation give Gayle Palmer a call on 01243 641665 to discuss your child.